Facial Sauna Systems – Do Something Good for Your Face! Why should you use facial sauna systems for your beauty routine? Everyone woman wants to be beautiful. Throughout history, women have done some drastic things in the name of beauty. In Elizabethan times pale was in, and suffering extremes for beauty was the thing to do. Some women would paint their faces with lead, arsenic, or even mercury based paint. Other women bled themselves using leeches to achieve that sought after “pale” look. It is scary the depths to which beauty can sometimes make you go! If only people would realize that there are natural and calming treatments that can help restore and retain beauty. What do These Facial Saunas Do? 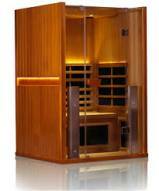 Facial sauna systems can make you look and feel your best using a natural heating process. Your face is a big part of who you are, and all women want to keep it looking as nice as they can. 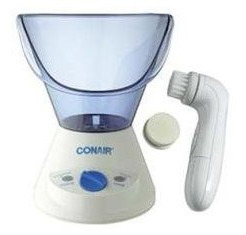 These systems are basically small steamers designed to simplify and direct the application of warm steam onto your face. This process can stop dullness and give you back a healthy glow. 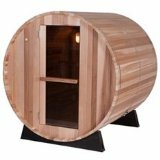 A facial sauna is a small compact system that helps you concentrate pressure on your facial area. This is ideal if, like many working class people today, you cannot afford a full steam room inside your house. Impurities from everyday life, like sweat, makeup, and dead skin, get trapped in your pores and age your beautiful face. These pollutants can make your skin dull looking and can cause breakouts. Red bumps and pimples are probably not your idea of beautiful! The hot water in the facial sauna systems rises up as steam and opens your clogged pores, making it easy to wash away all of those impurities while also getting rid of dead skin cells. 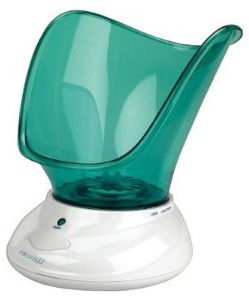 Many women find the act of using a facial sauna very relaxing. Even many spa centers offer this service. 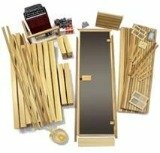 Why pay high spa prices when you can enjoy a sauna system for your face in your very own home? Another advantage of steam is the clearing of your sinuses and nasal passages, which can allow you to breathe easy. Steam is sometimes even used in respiratory therapy. Wouldn’t it feel nice to do something so beneficial for your body? After using facial sauna systems many women apply a facial scrub afterwards. However, there is no need for you to apply a harsh and sometimes skin damaging scrub. 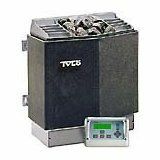 Most of the impurities have already been brought to the surface of your skin by the end of the steam. You only need a light rinse with a mild soap to wash the dead skin away. More good news is that once your skin begins to show the improvements that come with using facial sauna systems, you will wear less makeup and thus clog your pores less. You will have broken the cycle, and achieved naturally beautiful skin! Beauty comes naturally when we take care of ourselves and our bodies. Do something healthy and good for your face today!